KATHMANDU: The Rohingya Muslims, who have taken refuge in Nepal due to the violence which broke out in Rakhine state, do not want to go back to their country until all their reservations are addressed by Myanmar government, said Mian Zafar, a young leader of homeless Rohingya while talking with a team of foreign journalists at the refugee camp located at the outskirts of Kathmandu city. “The precondition for our return to Burma is that the government of Myanmar should return our properties and lands to us, give us nationalities and equal rights like other citizen of the country” said Mian Zafar, who has been residing in the camp along with 349 Rohingya migrants since 2013-2014. The media team, which also included TNN Director Said Nazir, was taken by DW Akademie to the camp to know about the issues faced by Rohingya refugees. “We will be living in this camp until the United Nations High Commissioner for Refugees (UNHCR) is supporting us,” Zafar told the media persons. He said that the UNHCR has given cards to the refugees to help them avoid any legal implications. Zafar informed that after they were forced to leave their own country, they migrated to neighbouring Bangladesh, however, there were not enough job opportunities available. Thus, they shifted to India and finally made it to Nepal after some well-wishers informed that a number of Rohingya families are living there. 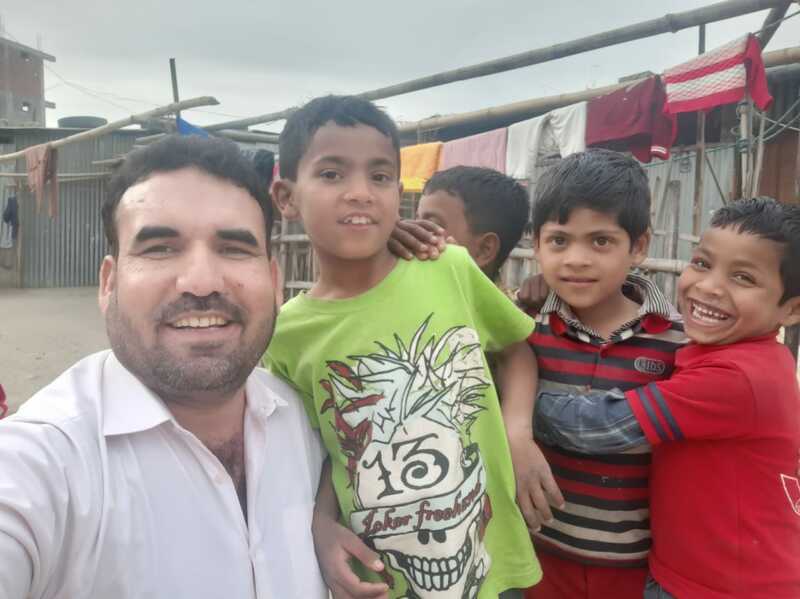 Initially he and his family were supported by a local mosque in Nepal for eight months after which they were approached and registered by the UNHCR as refugees. Mian Zafar appreciated the help extended by Nepalese government and the UNCHR. However he blamed UNHCR for claiming that it was providing $200 per family of Rohingia community, which he said was not true. After the refugee’s crises deepened and more and more Rohingya families fled from Myanmar due to persecution in 2016, UNHCR halted assistance to Mian Zafar and others in the camp because they had diverted all their resources to Rohingya refugees in Bangladesh. While referring to the much-trumpeted ‘cash-for-work program funded by UNHCR’, Zafar complained that it was not much financially helpful for the refugees. They have to work for several months, but in the end, they get hardly NPR 10 to 20 thousand instead of the agreed amount of NPR 100000 and NPR 150000 in cash, he said. “We are happy with UNHCR and Nepalese government but contractors”. Director of TNN Said Nazir takes a photo with children of Rohingya at refugees camp in Kathmandu Nepal. Talking about the health facilities available in the camp, Zafar informed that a hospital is available in the camp, however, it provides medication for minor diseases, while for several major diseases the refugees struggle a lot to get proper medication in hospitals in Nepal given their poor financial conditions. About the education of children in the camp, he said, there are 183 school-going children and each child is provided NPR 1,7000 annually, but this amount is available only for the students from 1st to 8th classes. The education allowance is not being provided to nursery and KG students’ as well 9th and 10th grade students. “We have to pay for the education of these students within our limited resources” he remarked. “We have no idea about the future, but at present, we are happy in Nepal and want to stay here until we are recognized as citizens of Myanmar” he concluded.